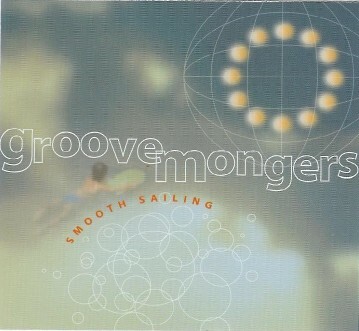 Copies of "Smooth Sailing" are available at any dance that we're playing, as well as by mail. To order a CD, print and send a copy of our order form. Our CDs are also available through CDSS and Contracopia. Our first CD "Fresh Wares" is available again! 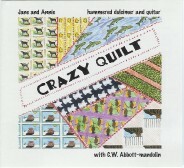 A joint project by our pianist Jane Knoeck and her friend Annie Simpson on guitar and vocals. The recording is full of beautiful hammered-dulcimer tracks, elegant piano playing, whimsical songs written by Annie, and high-energy dance tunes. Jane and Annie are joined by C. W. Abbott on mandolin, Hazel Stewart on fiddle, and Rebecca McCallum on fiddle. In 1988, Larry Edelman recorded this album, along with C. W. Abbott, L. E. McCullough, Laurie Andres, and others. It has just recently been re-released on compact disc. 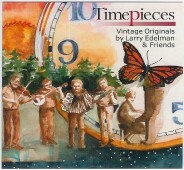 All of the tunes on the album are originals by Larry Edelman. This is a classic recording finally available again!